Home ~ Training Presentations ~ There is always someone better! There is always someone better! What are you good at? 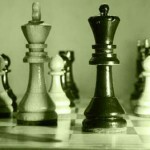 Chess, cooking, squash, sailing, wine appreciation, business, presenting or perhaps selling? One thing is for sure – you are probably not the best at all of them. 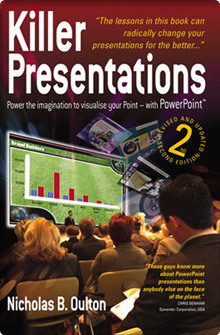 How good do you need to be to deliver an effective presentation about any of these subjects? Certainly not world class. Competent is the word that springs to my mind. You don’t need to be the best – just better than the average of the group. I have given presentations on all of the subjects above, but I am clearly not the best at any of them. The secret is to know that you don’t need to be. Most of the time when we are asked to coach presenters, particularly presenters for large pitch presentations, they are far from experienced expert presenters. In fact, more often than not, they are not even the content experts. They do however know more about their company and its products and services than the prospect.